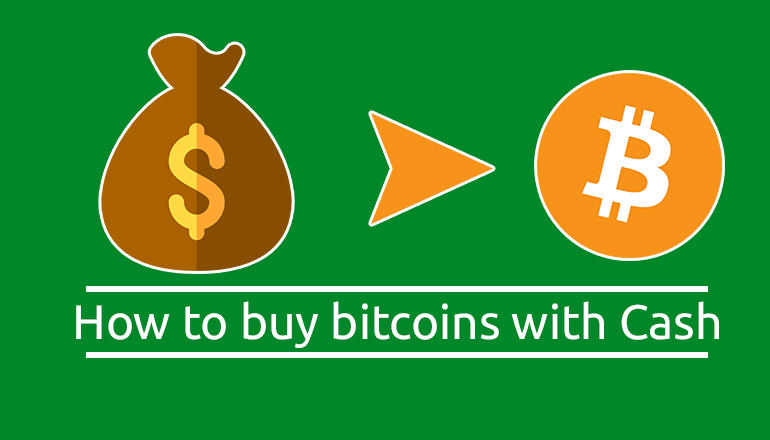 18 Best Anonymous Slogans Encouraging Privacy and Anonymity on the Web! 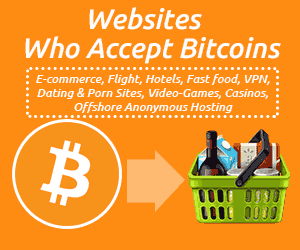 A Fan of anonymity and privacy? Me too! That’s why I’ve compiled a list of some of the best anonymous slogans floating around the web these days. Let me just clarify what the phrase “ anonymous slogan ” means for the context of this article. 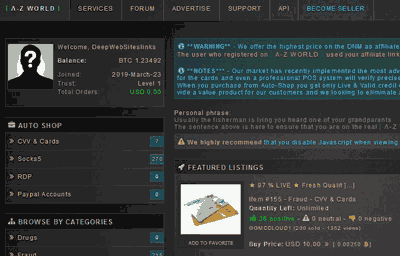 It does not indicate quotes whose speakers are anonymous or not known, neither does it indicate quotes only from the Anonymous group, instead of any quote which promotes or encourages security, anonymity and an individual’s privacy in any way are what it refers to. So let’s get you those revolution-igniting quotes you came here for! Devour these and let me know which becomes your personal favorite anonymous slogan as well! We are Anonymous, We are Legion, We do not Forgive, We do not Forget, Expect us! 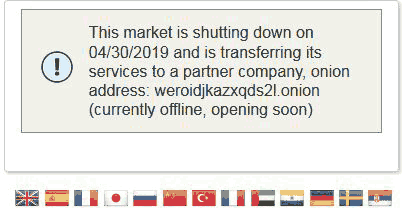 This “We are Anonymous quote” is literally the most popular privacy quote on the planet (Arguably). Here, we denotes the hactivists working towards privacy, anonymity, and govt. oppression primarily towards digital liberalisation. “Anonymous” here denotes anonymity as expressed in the “Yale Law and Technology” in the Nov 9, 2009 issue. The first part basically says the speaker(s) are supporters of anonymity. We are Legion is a deeper meaning part of the quote, where “Legion” refers to a biblical incidence of “union of many”, basically it says there are many individuals in the anonymous group, who even at a distance, work together for a single goal. “We do not forgive” is a simple phrase indicating they won’t forgive any of the crimes or actions the govt. or anyone else has committed towards anonymity or privacy of individuals. “We do not forget” probably tells us how they may be delayed at times, and it may appear that they’ve forgotten the supposed crimes or actions, but they’ll come back and won’t ever forget what they’re supposed to do. “Expect us” finally is a statement taunting all the agencies and individuals who oppress anonymity and privacy online. 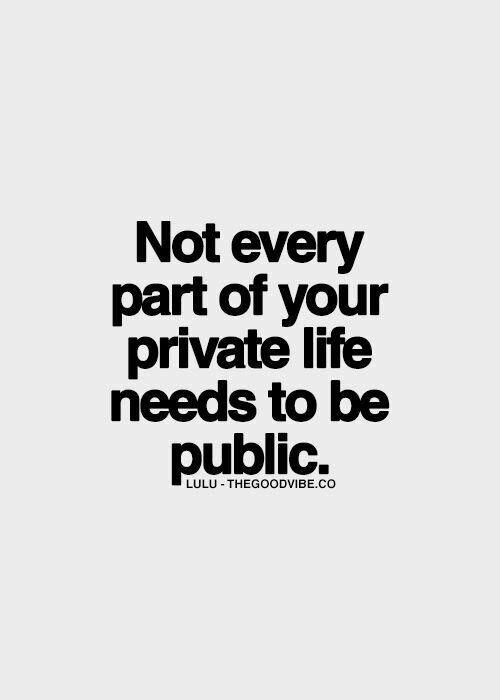 Not Every Part of your Private Life Needs to be Public. This anonymous tagline is a dual-meaning statement, which holds meaning not only in our digital lives, but also for our real, offline one. First, for our offline, real-world life it simply means you do not need to share all your problems or happiness with everyone around you. 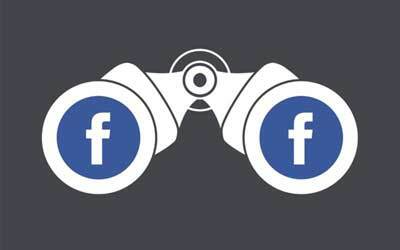 Although in the online aspect, it means your (and mine, and everyone else’s) privacy as in social media lives, web history, actions on the web, or interests should be private and shouldn’t be spied upon by any agency or individual. This quote by Jonathan Franzen is a solid statement of the basic existence of individualism. We’re all individuals because of our privacy, our personal likes and dislikes, our interests, dreams, aspirations and what not. If those elements are to be made public, there’s no point in being an individual, the aspects which define us would be public knowledge hence snatching our individuality away. In today’s world privacy has become something that seems like a “favour” if granted. The govt. makes it seem like it’s doing us a big one by not tracking or spying on us. Marlon Brandon in the above quote makes it clear that it’s not something that we’re simply entitled to, rather it’s an absolute requirement regardless of what anyone else thinks about it. One of the most realistic quotes ever. No one needs to spy on us, or track us, we ourselves share so much information online on various platforms which can be used to turn our lives upside down. For e.g. people post what they ate for breakfast, lunch and dinner, where they went shopping, which cousin visited them and what not. Not to mention the C.C.T.V cameras installed around every corner, or the ease of being able to hack into just about any webcam with the help of just couple Youtube videos. 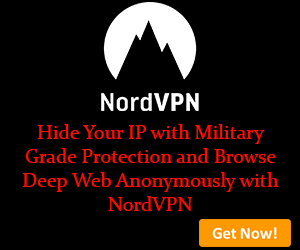 So yeah, this is one of the best anonymous slogans regarding anonymity and privacy. The world has turned into a public library, everything happening everywhere can be found on social media and be read by any and everyone. And that’s where people show everything, tell all their stories, problems and what not. 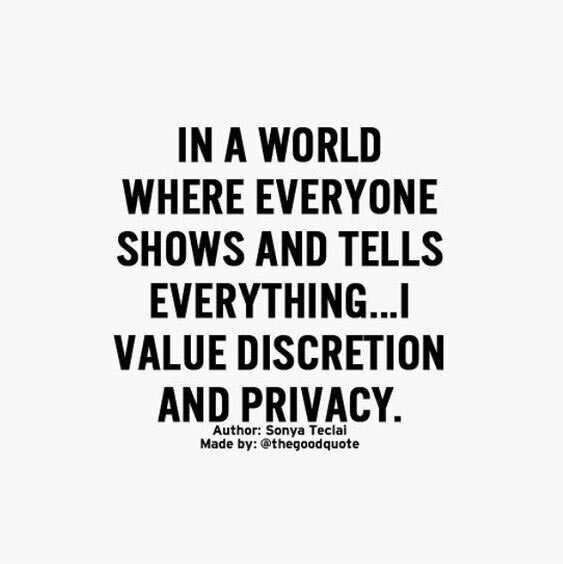 That’s where the author of the quote says that discretion and privacy is something to be valued and not everything needs to be publicized. 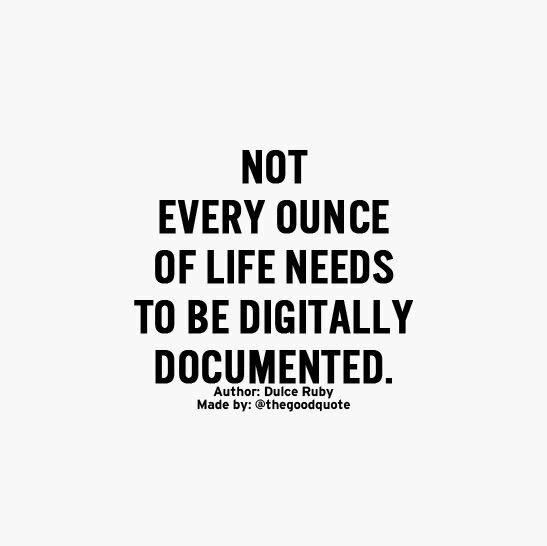 Just like the above anonymous slogan, this one too emphasizes the fact that every ounce of our physical lives is digitally documented these days. Facebook, Twitter, and all the other platforms originally intended to be a communications medium have become a place to scribble down your everyday diary and biographies. And that’s exactly the kind of thing which invades your privacy to a deeper extent most people don’t understand. This is probably the longest anonymous slogan on this list but it’s totally worth it. I found it on Reddit, written down by “THE” Edward Snowden himself. It’s a fact-statement showing how we, the common people ourselves do not emphasize the need of right to privacy and hence are victimized always and forever. 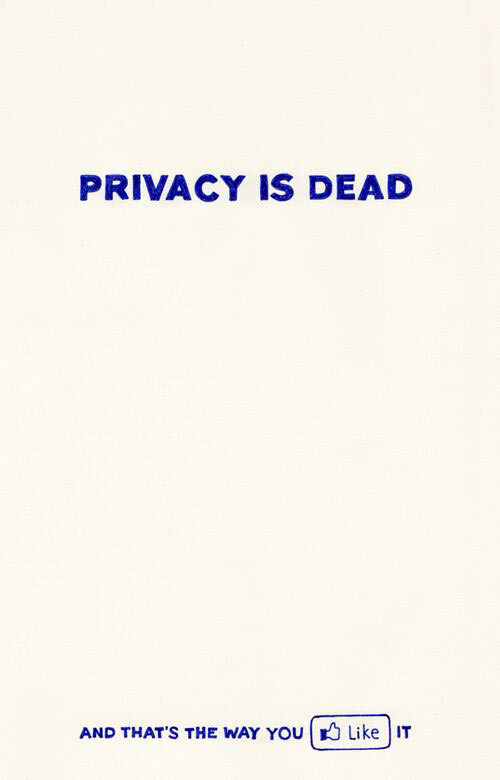 Privacy is Dead, and that’s the Way you Like It. One of my favorite one-liners. It tells us how we’re okay with the govt. invading our privacy by installing cameras all around our homes and lives for “security”. How we’re okay with the social media channels tracking our browsing habits and everything else so we can get better ads and choices. So privacy really is dead, and the worst part is we do like it that way because somehow it trades for something which we feel is worth trading it for. Assange the founder of Wikileaks is one of the most prominent figures when it comes to privacy and anonymity of individuals on the web. He quoted the above lines and we can only but wonder if it’s true. Because honestly, on Facebook (or any other social network) there are people’s photos, age, address, recent activities, likes and dislikes, location information etc. So, that’s pretty much everything, more than everything, needed to spy on any individual on the planet. 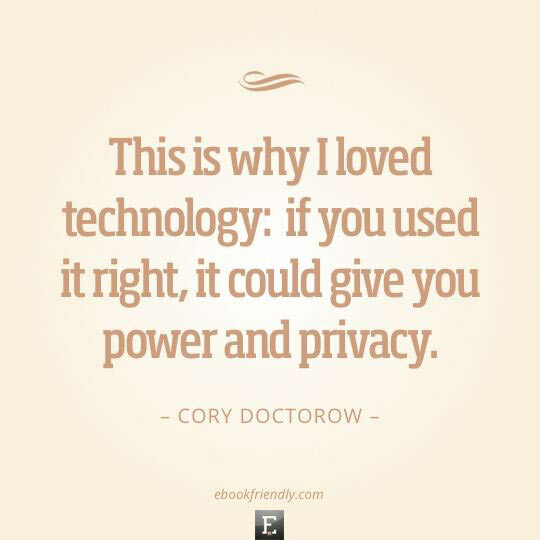 This is why I loved technology: if you used it right, it could give you power and privacy – Cory Doctorow. I’ve always been a tech-geek, somewhat more inclined towards hacking, privacy, security etc. and Cory’s “Little Brother” had this great anonymous slogan I just had to mention here. It tells us how not everything is bad about technology, and if used right, there are options and ways to secure your anonymity and privacy. (E.g. 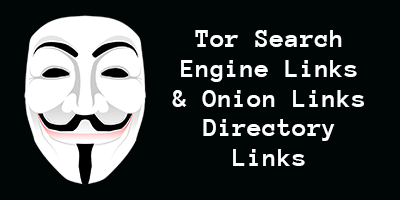 the TOR browser, and VPNs). We’re human beings, and we’re so because we have our anonymity and privacy, those elements are what makes us individuals. Sarah rightly states we aren’t meant to lose our anonymity and privacy, if we do, how far are we humans and how are we different from the animals who have all their affairs out there for the world to see and hear? Pete Cashmore is the founder of Mashable, one of the most popular social media blogs on the planet. He quoted the above lines, which state that privacy is dead, but the smoking gun is held by social media platforms. The smoking gun is something that’s the “reason” behind something happening, and in that context the quote seems true to every word. 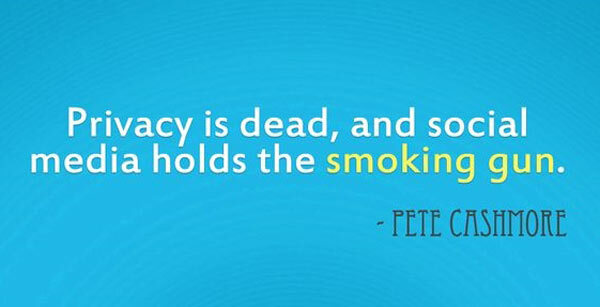 It’s not the first time social media has been accused of invading our privacy, Julian Assange, Edward Snowden and now Pete Cashmore all agree on this one point that’s for sure. The modern world here means the world dominated by technological advancements such as cameras, social media platforms, computers and everything else. Anthony rightly terms privacy the most precious thing one can ask for in the modern world, everything else, even money seems more easily attainable than privacy. Katherine in the above anonymous slogan agrees with Marlon’s quote that Privacy isn’t something that’s an “option”, or a “luxury”. Rather, it’s one of the most basic requirements of being alive, being a human. And the fact that it has to come out in the form of a quote is evidence of the fact that the statement isn’t fulfilled in the general lives that most of us live nowadays. Tim Cook in a recent speech at Epic’s Champion’s of Freedom event was heard quoting the above lines. Cook is the CEO of Apple INC. So no doubt his knowledge is first-hand, and much deeper than you or me. And even with our “not so broad knowledge” we can totally grasp the reality and practicality of the above statement when there isn’t a single sphere or aspect of our life which truly is private. One of the best deep meaning quotes I’ve ever read, it brings out the difference between Privacy and secrecy which many are oblivious too. No, they aren’t the same thing. Privacy is mostly consensual, where both (or more) parties agree to the privacy and do not try to spy on each other. Secrecy, however, is one-sided, where one party tries to hide its actions, things, or anything else from the other party(s) while the other party may try to invade the secrecy. This is the second anonymous slogan by Cory Doctorow in this piece, but I didn’t find this one myself or in a book, rather on the internet. It’s a matter-of-fact statement, which brings out the fact that privacy too is a kind of security, security of the individuals’ individualism, and so naturally it too isn’t easy. 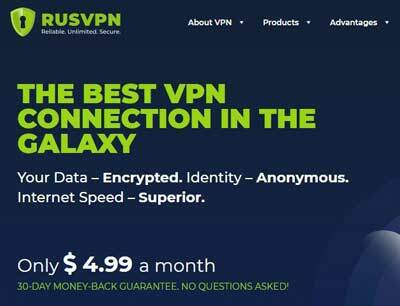 Although I’d like to add my point of view here that the basic, easiest way to upgrade your privacy and security on the web is by using a VPN along with the TOR browser. This is what the govt. 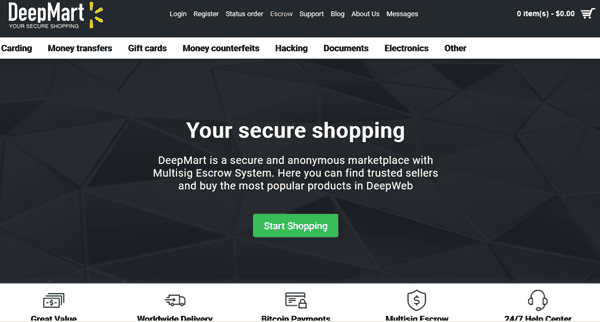 sells its “privacy invasion” theories with. We’re supposed to feel safe because of those cameras and should be okay with the agencies spying on us, because it’s for our protection. 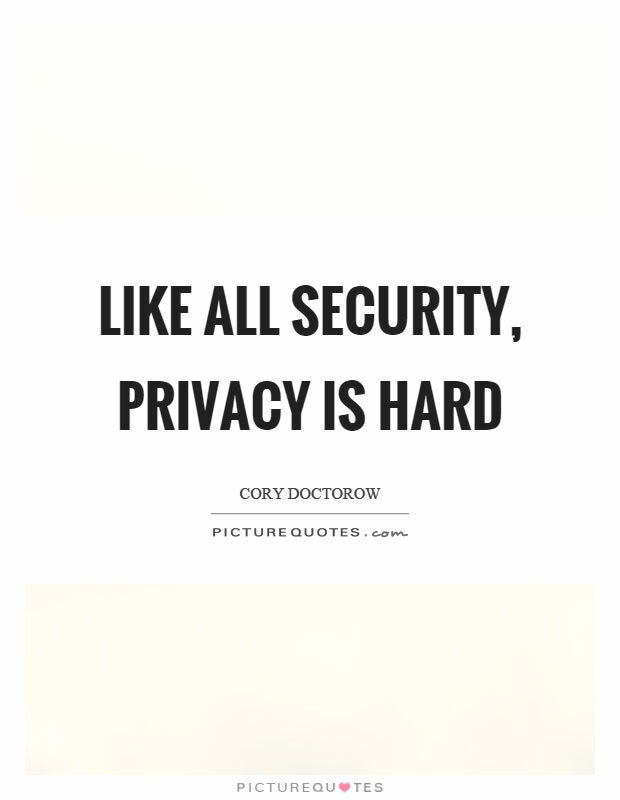 I may or may not agree with the above quote, but it without doubt is the easiest sell for privacy-invasion existing in today’s world. 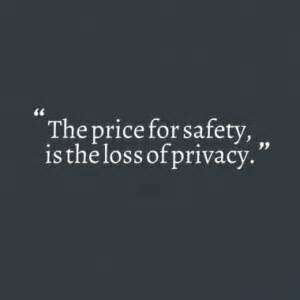 This anonymous slogan brings out the true picture of what’s happening with our cell phones and data these days. Most apps we install collect a lot of data, data that’s not actually required, but is collected anyway. How or what for that data is used is not known to us, and that’s a fact. In this satirical anonymous slogan, John brings out his opinion about the govt. and its respect for privacy beautifully. The govt. has always and forever been accused of invading its citizens’ privacy, since the good old days of the kings, although now it’s on a much larger scale. So, if the govt. is the one spying on us, we relying on the same govt. 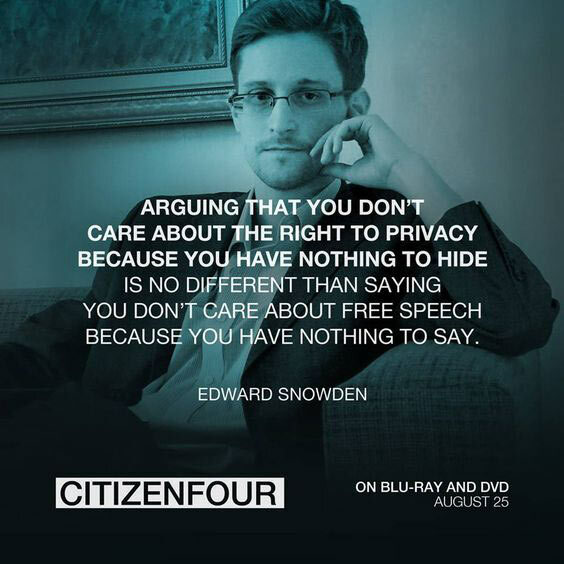 to protect our privacy is surely not a good idea as far as this quote from John is to be held true. It’s something we probably need to take care of ourselves. Or, atleast be more cautious with who we trust with what. Let’s wrap this anonymous slogan piece up. 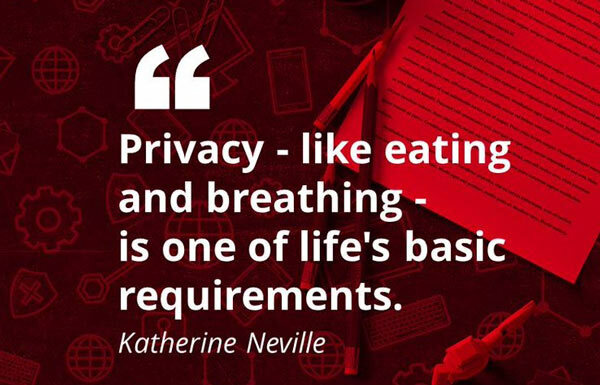 We’ve been through quite a few privacy quotes today, haven’t we? From the complex “We are Anonymous We are Legion” thing to the last simple statement by Cory. The reason I scribbled down this anonymous slogan piece was that it becomes a detailed article in itself about the true picture of our privacy and anonymity. 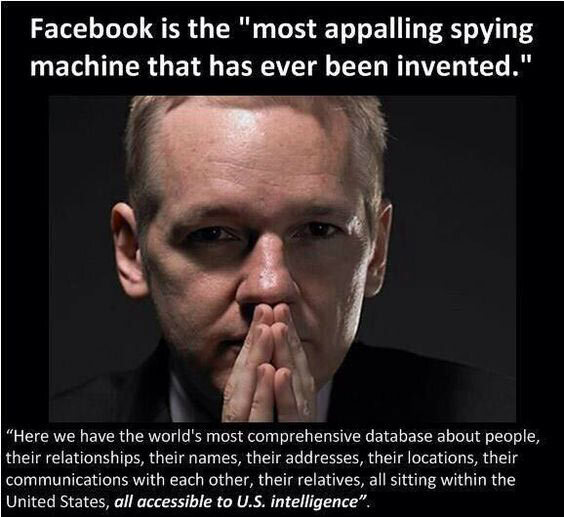 The quotes are mostly from people of repute such as Snowden, Assange or Cook which nails the fact that true privacy really doesn’t exist, at least not at the level we believe it exists. 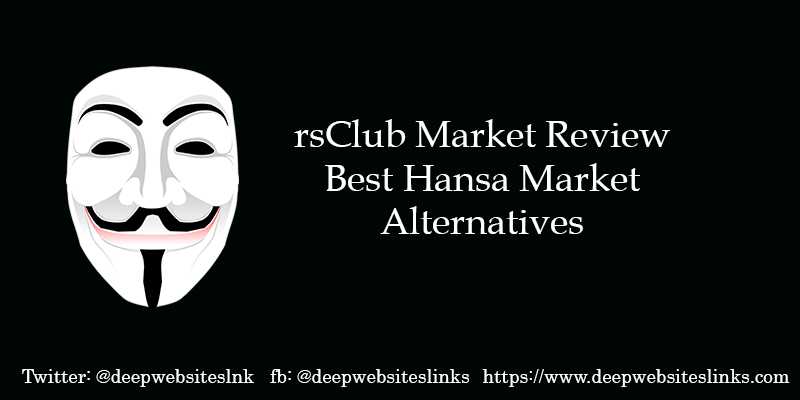 So do take the necessary precautions to protect yourself on the web, and be sure to like our Facebook page, and leave your thoughts about this piece on anonymous slogan there, it helps me understand how far I’ve been successful in reaching out to you.